If your home were on fire, what would you try to save? What was your answer? After people and pets many people say they would try to save their family photos. Why do many of us treasure our family photos so much? Because we cherish the memories of past events like weddings, parties, celebrations and beloved relatives. February is the month in which we celebrate and treasure love and relationships. We immediately leap towards the love relationship we have with others. But, do you treasure your relationship with yourself as well as your relationships with others? Do you set boundaries around your priorities such as need for rest, sleep, exercise, play? Or do you feel stressed most of the time because you are trying to do it all? As some spiritual writers remind us, "watch when your generosity gets you in trouble." Valuing and treasuring yourself is the opposite of stressing yourself. For example, one simple way to nurture yourself is to include margins of time to allow yourself to arrive at your destination less harried. Another way to reduce stress is to reach out to others for help or to ask family members to pitch in with household chores. You do not need to do everything by yourself (which can often lead to feelings of resentment). It's important to realize that "No." is a complete sentence. Counselors like to remind people not to "should" on themselves! John Eldredge, a counselor and author of Wild at Heart, describes self-nurturing as "deep restoration" that extends well beyond our physical and emotional needs. He suggests that the source of true restoration comes from a Higher Power who refreshes our spirit. He also notes that there are special places and times where both physical and spiritual restoration is more likely to occur. Do you find peace walking in a nearby park or perhaps playing with your children? Is the beautiful tree in your backyard one of your soothing places? Does your spirit rejoice when your adorable puppy runs to greet you every evening? Do you find comfort and joy singing with others in your special place of worship? Perhaps you delight every day in that first aromatic cup of coffee! Our healing places may vary but it is helpful to notice where and when you feel most alive and peaceful. The first step to treasuring and nurturing your life is to recognize that you need to. Do you need help learning to ask for support from the significant people in your life? Would you like to find more effective ways to set limits and communicate more assertively with others? Would you like to discover new ways to truly treasure the unique person you are? The EAP is here to help you treasure yourself and manage life's concerns. Please call us today at 901-683-5658 or toll free at 1-800-880-5658 to make an appointment to see a counselor. 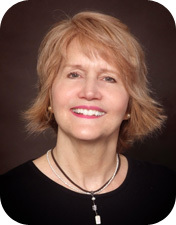 Author: Susan Erdman received her Masters Degree in Pastoral Studies in 1987 and her Masters Degree in Social Work in 1989. She has worked for Methodist Le Bonheur Healthcare since 1990 and as an EAP counselor since 1993. She is originally from Honolulu , Hawaii , and has called Memphis home for 30 years.